We’re excited to introduce Bonfire, our new social commerce platform with enhanced seller services, popular new custom apparel styles and colors, and a beautiful mobile-friendly website experience. Our goal at Bonfire is to enable communities and commerce to work together by providing the best way to design, sell and buy custom apparel. Sellers gain access to premium merchandise, quality support and order fulfillment services including printing, packaging and shipping. Every day Bonfire is host to thousands of campaigns, and we’ve shipped orders to over 100 countries across the globe. We celebrate and spotlight the best and freshest campaigns from our sellers who are making impacts that can be felt across the world — like NFL Russell Wilson’s Why Not Us Foundation raising awareness to end domestic violence with the “Pass the Peace” campaign, the #IAmAnImmigrant campaign encouraging all of us to explore our individual heritage and recognize our shared experiences, and Jane Goodall’s “Stay Wild” campaign supporting their sanctuary for chimps orphaned by wildlife trafficking. A renewed focus on community-driven design guided our brand strategy — breathing life and support into digital experiences we are creating. 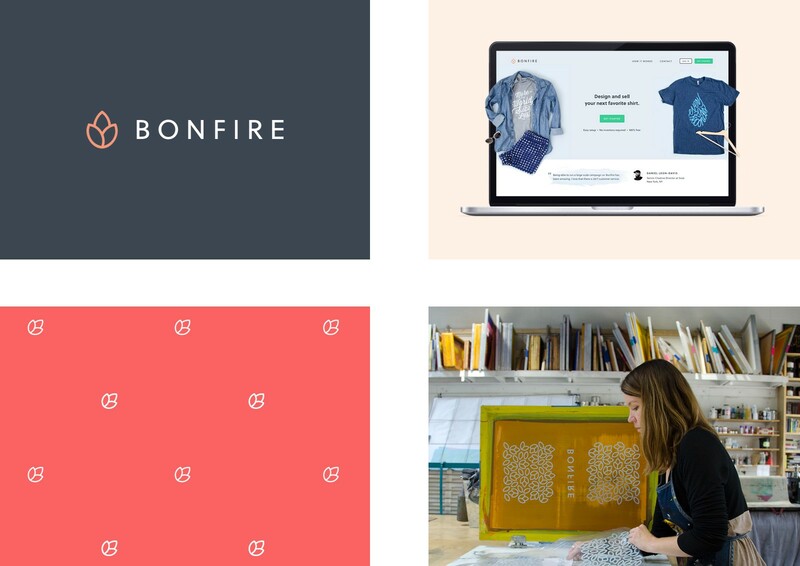 Bonfire’s new visual language unifies the brand experience across multiple platforms. The Bonfire mark is an integral part of the new design system, symbolizing unity, transparency and growth. While designing the new platform, we focused on achieving an equally delightful experience for both sellers and buyers. Our goal was simple — create a cohesive interface that is user friendly and easy to use across a wide range of devices. The best way to experience our new brand design is at our website, on Facebook or Instagram. An invite program to share with friends, family and third party organizations and a place to track earnings up to $100 for each new account. The product selector provides increased control on what and how many products a seller wants to offer. Sellers can mix-and-match premium products from the curated list of premium t-shirts, hoodies, and tank tops to find a variety of styles, sizes, colors and fabric options like 100% ringspun cotton and polyblends options. 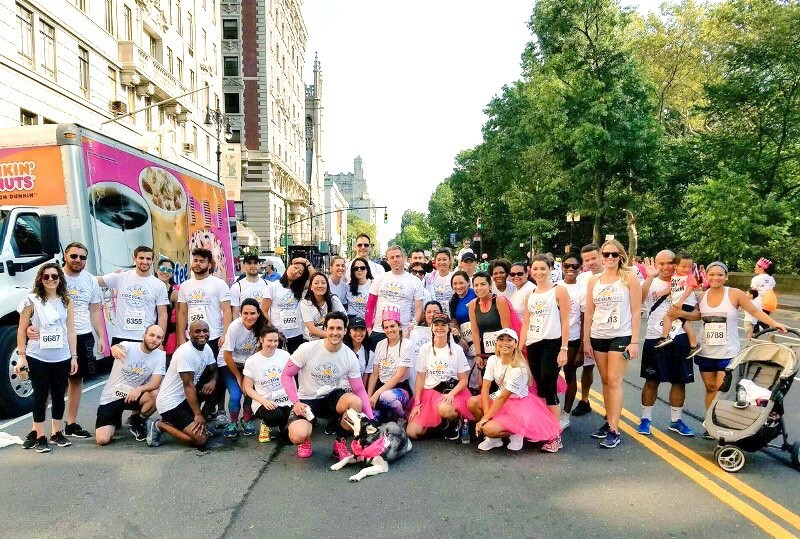 Our mission at Bonfire is to strengthen and inspire communities — from the moment a seller launches a campaign to long after their shirts are printed and shipped. A design that resonates with a community can be worn with pride and create unity. If we educate and equip sellers to create that special shirt, we think we’ve taken a step towards fulfilling that mission. A collection of stories exploring the power of community.